We understand the best way to care for our aging population in need of short or long term rehabilitation is to treat each person as the individual they are. Our commitment to care is centered on a philosophy that is dedicated to each aspect of the individual. We provide our older adults with an atmosphere promoting independence, comfort and security and a healthy lifestyle. Seniors are encouraged to make their own choices to maintain their independence while having a supportive rehabilitative staff to help achieve the highest level of independence through comprehensive medical rehabilitation. Our well trained staff includes: Physicians, Registered Nurses, Licensed Practical Nurses, Certified Nursing Aides, Physical Therapists, Occupational Therapists, Speech Pathology & Audiologists, Dietitians, Recreational Activities Therapists, Social Services, Housekeeping & Maintenance Staff. Our skilled medical services are designed to benefit residents whose activities of daily living cannot be adequately provided for at home or in a personal care center. Our services include: Short & Long Term Rehabilitation, Infusion Therapies, Cardiac Recovery Services, Renal Disease Services, Digestive Disease Services. Our goal is to provide our older adults with an atmosphere promoting independence, comfort and security and a healthy lifestyle. Seniors are encouraged to make their own choices to maintain their independence while having a supportive staff to provide assistance, as needed, with bathing, dressing, medication management and dining. Our well trained staff includes: Physicians, Professional Nurses, Licensed Dietitians, Physical Therapists, Speech Therapists, Recreational Activities Therapists, Personal Care Attendants, Housekeeping, & Maintenance Staff. Our Personal Care Centers offer a pleasant home-like environment while maintaining a state-of-the art center. Each center is community protected & equipped with a sprinkler, central smoke and fire alarm system. 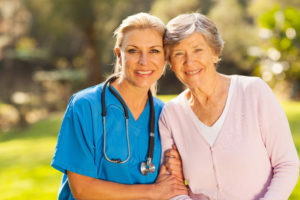 There are personal care attendants around the clock managed by professional nurses and staff. Our centers have developed activity programs designed to promote each resident’s active involvement with other residents, family members and the community. Activities include group outings to local restaurants, stores and entertainment venues with transportation provided by the center. The exceptional dining program offers an array of breakfast, lunch and dinner fare coordinated by a licensed dietitian and cooked by our well-trained chefs. We understand the best way to care for our aging population is to treat each person as the individual they are, while encouraging them to reach their highest level of independence. A combination of our highly trained staff and you will help build an understanding of each person’s daily routines to make the transition to personal care seem effortless. We provide the care and you provide the love. By not having to worry if medications are being taken properly or nutritional needs are being met, family visits are what they are meant to be; a time of sharing and interacting in a comfortable environment. If you or your loved one are dealing with memory impairment or other forms of dementia, you don’t have to face memory loss alone. At Senior Health Care Solutions, we focus on individualized care and programs that help people cope – even thrive while managing the issues of memory loss. Our well-trained, dedicated staff is here for you and your loved one 24-hours a day, 7-days a week to provide you with the confidence that your loved one’s needs are tended to with grace and dignity. trusted caregivers and confidants who can be counted on to lend a helping hand and give needed support at any time.